Give access to Mexicans open access to the scientific and academic production that is financed trough public money. Allow online deposit of large amounts of “knowledge, research and data” without financial or legal barriers for anyone. Lead to the creation of a national Open Access repository in which “quality and socio-cultural interest” of the material could be guaranteed. The announcement ended with a tweet by Peña Nieto: “With Open Access to scientific research, we advance to be a case of global success, and therefore, worldwide leaders.” Public opinion on the matter has been quite positive, particularly in a country where science is, at the very best, a matter of marginal public and government interest. Before I discuss the actual legislation reforms, a bit of background. The legislative changes came about from a law reform initiative drafted by current Upper House vice-president Ana Lilia Herrera Anzaldo. According to online press releases and an excellent information webpage on the reform process, a preliminary law initiative was presented in 14 March 2013 by Senator Herrera Anzaldo. A joint meeting with researchers and academics was held on 2 September 2013 and the original initiative was retracted ten days later. I presume this was done in order to amend it because of that meeting. A second meeting was then organised at the Upper House headquarters, which included input from top-level scientific policymakers, academics, and UNESCO. A new initiative was presented to the Senate (a facsimile of the original plus an English translation can be found here) that was presented to the Senate again by Herrera Anzaldo on 9 December and was turned for analysis to a select committee on science, technology and education. After approval by the committee it was voted and unanimously approved by the Senate on 5 March 2014, turned for review by the Lower House which also unanimously approved it a month later and finally sent off for the President’s signature into law. As far as the policymaking process is described in the online info page goes, I have to say one rarely sees this level of sophistication in Mexican politics where the ubiquity of superficially discussed and ultra fast-track legislation without public input responding to political pressure and interest-group lobbying is usually the norm. 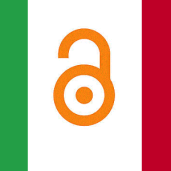 It seems that, according the information available online, a good number of OA stakeholders took part in the consultation process, including people from the online Latin America repository community (the Scielo and Redalyc portals), librarians, copyright experts and a good number of researchers and science policy people (including some very well known names in Mexican science). The legislative information portal had a ‘comments’ section of its own and for each new blog entry, to which Herrera Anzaldo paid some attention since she responded to a few of them. There was also ample use of tweeter and links to online petitions. Impressive. Which is why I find it surprising that despite this sophistication, the legislative outcome could have come out being so utterly wrongheaded. STL 10.69: Researchers, technology experts, academics, Masters , PhD and postdoctoral students whose research activities are financed by public funds or that utilized public infrastructure in carrying it out, may, by personal choice, deposit or expressly authorize the deposit of its final, accepted version in Open Access form through the National Repository, showing that they have gone through the process of verification as set out by the National Council of Science and Technology. It is important to point out also that OA policies always fail if they are merely “recommendations” or “requests,” even if “strongly encouraged.” This was already heralded by Swan’s (2005) surveys, confirmed by Sale’s (2006) actual outcome studies, and brought home particularly dramatically by the total failure of NIH’s initial nonmandatary policy, and the almost-immediate success as soon as it was upgraded to a mandate. STL 10.71: Quality information and content will encompass those that are the result of the scientific and technological publication process, formally carried out through peer-review and approved by CONACyT. It downplays the importance of preprint distribution as a normal and highly relevant part of many scientific disciplines – not only physics, but particularly physics. As is well-known, some areas of the natural sciences such as high-energy physics and mathematics preprints are now the de facto standard of communicating results to one’s peers. So if it is in part the advancement of science and communication of research results that motivates the Mexican reforms, the definition of peer review as the standard of quality is deeply anachronistic. As I have written elsewhere in this blog, this does not mean that one should immediately rush to the conclusion that non-peer reviewed literature and new forms of assessment (e.g. altmetrics or post publication peer-review) are the ultimate solutions for all disciplines or even for some disciplines, but it does betray an extremely naïve policy-making view at the international scale. It exhibits that there is apparently no room for the so-called ‘grey literature‘ that is widely recognized to be a significant (though problematic) component for Open Access. Grey literature is a mix of scholarly-sourced documentation that can be useful though published through non-commercial channels, such as reports, white papers, unpublished data, preprints, monographs, patents, etc. There are studies that even show the importance of grey literature for science in the Mexican context. Again, this position is contrary to that of the international Open Access movement and has no place within a policy that is world leading. It bypasses the issue of why if the usage of institutional repositories is to be strengthened there needs to be a duplication of archived material in also holding them within a National Repository, with a tremendous waste of resources to this effect. But Mexican politicians, as I said, love this sort of grand projects and I can just see the bureaucrats licking their paws at the prospect of having this white elephant gold-mine. There is no discussion of how embargo-periods and copyright issues will be dealt with, despite the fact that this discussion has been the central point in the international OA discussions of the last decade or so. 10.71 [The above guidelines] will respect, at every moment, all applicable legislation, including that of copyright. The most worrying thing for me is that nowhere in the legislation does this debate seem to have been either taken into account or considered in the consultations. Who is to blame for such a deficient and outdated view of Open Access? Policymakers? Academics? From what can be seen fro the online information, it would seem that the decision making was heavily influenced by the views of academics, but not academic OA experts, so I’m rather leaning on the latter to bear the brunt of the responsibility. Whatever the case, to call these policies ‘world leading’ is, I’m sorry to say, a grave misstatement. In its policy-making procedures, I have to applaud Senator Herrera Anzaldo for bringing a much needed freshness to science politics in my home country, but the results make evident the deep need for Mexico to have a more sophisticated view of science and technology policy-making and of research dynamics than its own scientists seem to espouse.